letterpress printed and foil stamped. Smock 2-ply bamboo paper. 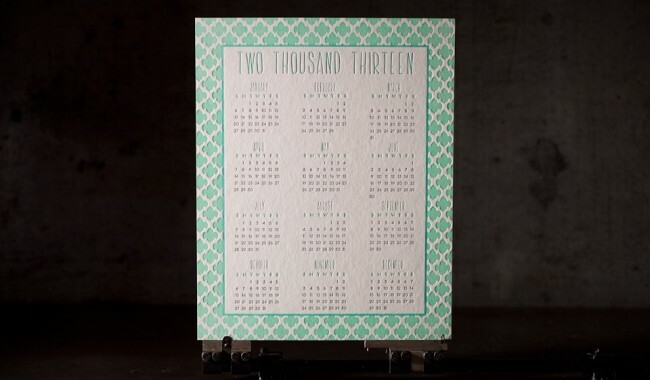 each calendar is 3 colors. letterpress ink 404U appears on every calendar along with two of the following inks or foils: 573U, matte gold, 489U, 7478U, 3245U, 547U, and 581U. 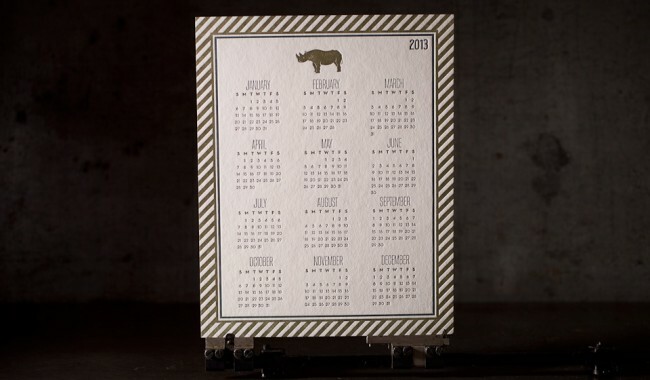 four art print calendars (8 x 10). 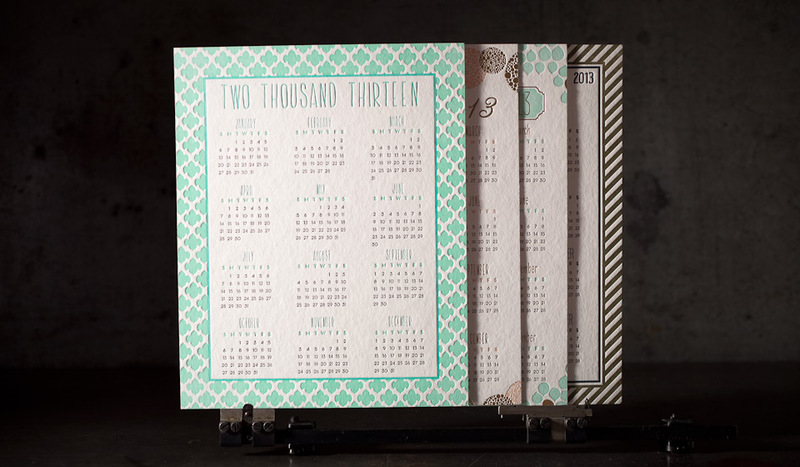 each single panel calendar contains all 12 months.